Adelina Amouteru is a survivor of the blood plague: marked by a jagged scar, snow-white hair and lashes. 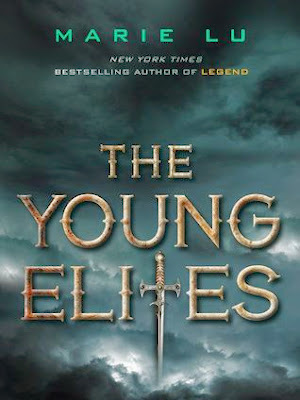 Cast out by her family, Adelina has finally found a place to belong within the secret society of Young Elites. To some, the Elites are heroes, here to save innocents in desperate situations. But to the Inquisition Axis, the white-robed soldiers of Kenettra, they are monsters with demonic powers who must be brought to justice. As Adelina learns more about this perilous world where politics and magic clash, she soon realizes that her own powers may be in danger of bringing on an era of panic such as the world has never seen. I haven't seen this one, but I think it sounds good! Great pick. I didn't know Marie Lu was coming out with another book! Looks good! Ooh, this one sounds awesome! Great pick! Mindy! How the heck did I not know that you are a blogger?!?!?!?!? I know you're in primary a lot, but why has this never come up? LOL!